American Bulldogs are our passion. We have developed a breeding program to produce all around sound American Bulldogs. Our American Bulldogs are show quality for working or as a great family pet. Our dogs are family raised and great with children. 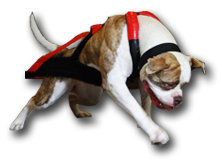 Bull Pulls American Bulldogs are consistent in type and health. Great Temperament American Bulldog. Moo playing with our 2 year old son while eating a steak bone. Moo is absolutely one of my favorite American Bulldogs that we have produced. His structure is almost perfect and his temperament is exactly what we want with great manors in public. Absolutely loves people and other dogs. As seen in the picture to the left, he even enjoys getting played with by children while eating a steak bone. Our son could literally take it out of Moo’s mouth if he wanted to. Moo has already produced a great litter for us and will continue. ABRA Nationals: Best 2-4 year old classic male. Best classic male. Best classic American Bulldog. Entered in championship ring. UPF Weight Pull Nationals: 2nd place – biggest show to date. With a ton of dogs all across the USA Canada and Mexico, this is the highest we have placed at UPF Nationals. We are so proud of Moo and his accomplishments. Bull Pull American Bulldogs started in Baltimore Maryland. 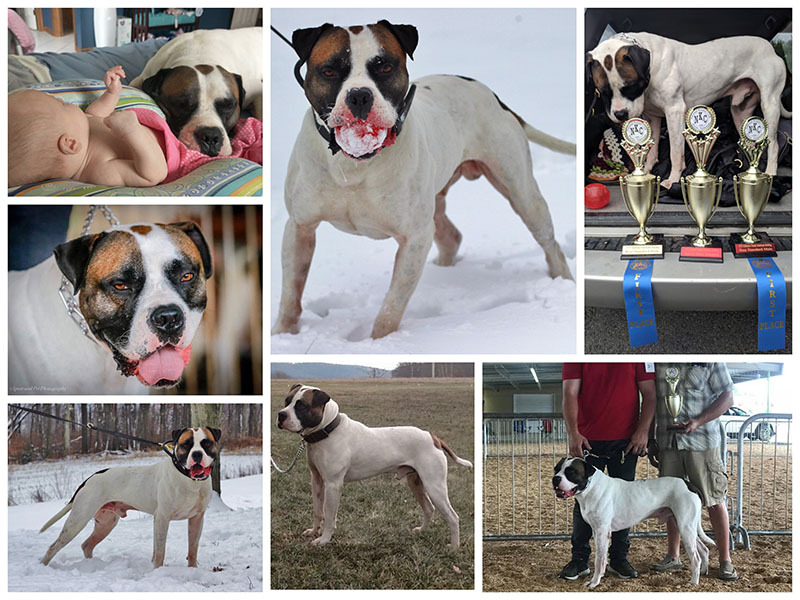 Our Kennel has been breeders of the American Bulldog since 2001. Our American Bulldogs are very healthy with great hips. They live in loving family homes to provide the best environment. Our American Bulldogs are show quality and make great family pets. We raise the puppies around children and socialize them in all environments. We like the look of the big headed, muscular American Bulldog. To keep our dogs healthy and very athletic we outcross to hybrid type American Bulldogs. This improves breathability and function. 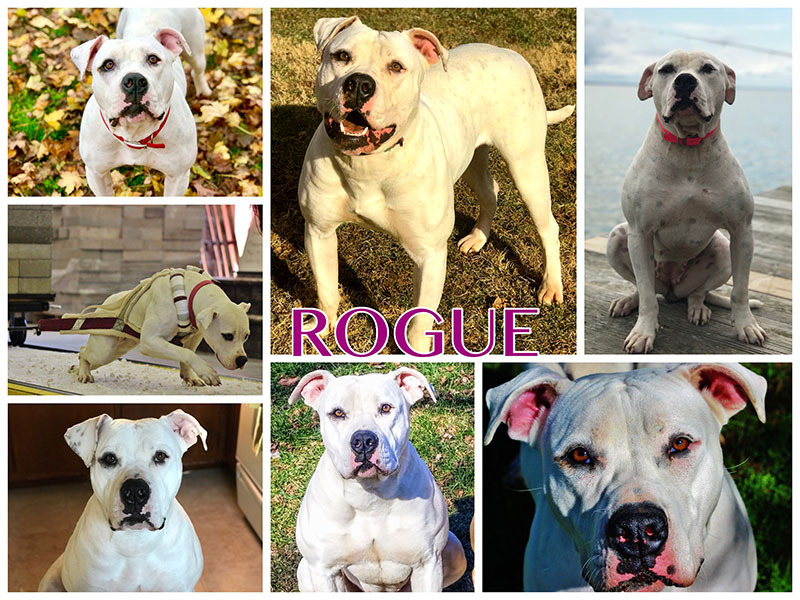 We have been building an American Bulldog program for many years and have found a good balance to produce the look and health we desire. We never want any dog to be used in dog fighting, any unlawful or inhumane acts. Any person involved in such acts will hopefully get prosecuted to the full extent of the law. If you want to do something fun and competitive with your dogs you should look into weight pulling or agility contests. 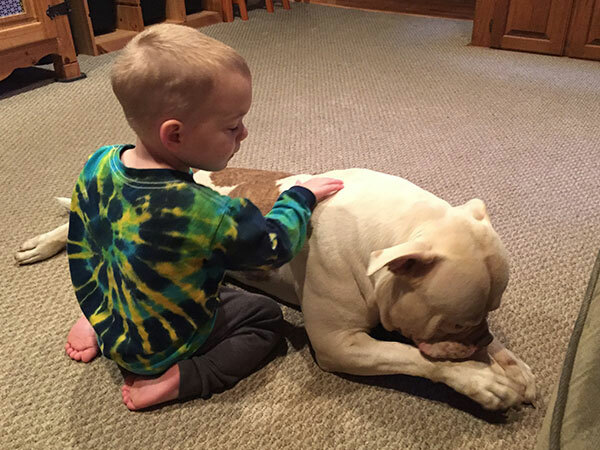 It’s safe and a great bonding experience for you and your American Bulldog.